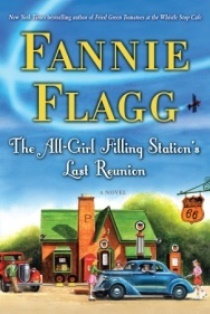 The All Girls Filling Station’s Last Reunion is Harper Lee Award recipient Fannie Flagg’s ninth novel and her fans are going to love it. Descriptions of this novel by reviewers and by Flagg’s friends Mark Childress, Pat Conroy, and Carol Burnett include “funny,” “quirky,” “charming,” “kind,” “entertaining,” “page-turner,” “sunny,” “witty,” “warm-hearted,” and, of course, “heartwarming.” And it’s true. This novel is a confection, cotton candy. It is highly readable and enjoyable. To complain about a lack of gravitas would be churlish. The story, as often seems the case lately, moves back and forth in time. The present action begins in 2005, mostly in a house just south of the Grand Hotel in Point Clear. Flagg makes gentle fun of the oddities and pretensions of Southern upper-middle-class life. The heroine is 59-year-old Sookie Poole, wife of Earle Poole Jr., dentist. “Against all odds, she had just survived the last wedding of their three daughters, Dee Dee, Ce Ce, and Le Le. Their only unmarried child now was their twenty-five year old son Carter, who lived in Atlanta.” Everyone thinks Carter just has not found the right person yet. Now Sookie, always a victim of low self-esteem, is tired-out and thoughtful. Among her present problems are blue jays: they eat all the birdseed and drive away the chickadees, little birds Sookie really loves. But in this narcissistic little world, family matters! Who are your people? The Simmonses are “a fine old family,” Methodist, of English descent. Is Sookie a true Simmons? Early in the novel, she learns, most humorously, NO: she was adopted and her family is actually Polish and Roman Catholic. Her real name is Fritzi Jurdabralinski. As Sookie and the reader learn, early on, her biological family ran a gas station in Pulaski, Wisconsin, and her birth mother and her three sisters were WASPs, that is, members of the WWII Women’s Army Service Pilots, who freed up male pilots for combat by flying bombers and fighters to where they were needed. Flagg does a good job of showing the lives of those airborne Rosies and it is a shame that, like the women at England’s Bletchley Park who worked to break the German Enigma code, the WASPS were disbanded, their service records classified, and they were not acknowledged for thirty-five years. These revelations shock Sookie, of course. Angry at her mom, she secretly seeks help from a nice psychiatrist, Dr. Shapiro. 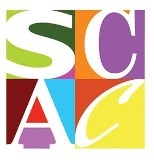 In Point Clear, Alabama, his practice fails to thrive so he moves “back to New York where seeing a psychiatrist was a status symbol,” but he has helped Sookie, who comes to terms with her mother, the blue jays, and her Polish ancestry. Flagg leaves Sookie and the reader smiling and content.